Though there are a few reviews of Gmirkin’s book it deserves a revisit today, over a decade after publication. Priced at $180, it’s unlikely that many of you have read this important tome. I did so only because the nearby University of Oregon Library possesses a copy. This is not a thoroughgoing review of Berossus and Genesis, Manetho and Exodus: Hellenistic Histories and the Date of the Pentateuch (New York: t & t Clark 2006), but rather a series of excerpts (see below) presenting its essential thesis and argument. For more details, see Neil Godfrey’s 2012 analyses (here, here, and here), and also Laura Knight Jadczyk’s fine customer review on Amazon.com. This book proposes a new theory regarding the date and circumstances of the composition of the Pentateuch. The central thesis of this book is that the Hebrew Pentateuch was composed in its entirety about 273–72 BCE by Jewish scholars at Alexandria that later traditions credited with the Septuagint translation of the Pentateuch into Greek. The primary evidence is literary dependence of Gen 1–11 on Berossus’s Babyloniaca (278 BCE), literary dependence of the Exodus story on Manetho’s Aegyptiaca (ca. 285–280 BCE), and datable geo-political references in the Table of Nations. A number of indications point to a provenance of Alexandria in Egypt for at least some portions of the Pentateuch. That the Pentateuch, utilizing literary sources found at the Great Library of Alexandria, was composed at almost the same date as the Alexandrian Septuagint translation provides compelling evidence for some level of communication and collaboration between the authors of the Pentateuch and the Septuagint scholars at Alexandria’s Museum. The late date of the Pentateuch, as demonstrated by literary dependence on Berossus and Manetho, has two important consequences: the definitive overthrow of the chronological framework of the Documentary Hypothesis, and a third-century BCE or later date for other portions of the Hebrew Bible that show literary dependence on the Pentateuch. Chapter 4 shows that the Septuagint translation of the Pentatuch into Greek is the first true evidence for Pentateuchal writings in any language and yields a terminus ad quem of ca. 270 BCE. This is a conclusion of major importance, for it opens up the possibility that the Pentatuech borrows from or shows awareness of other literary texts written as late as ca. 270 BCE. 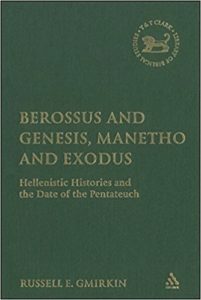 A dependency of Genesis on Berossus or Manetho has never been seriously considered before, since it was assumed that the Pentateuch took shape by the time of Hecataeus of Abdera, that is, before Berossus and Manetho wrote. Chapters 7 and 8 argue that the Exodus story was based on Manetho’s account of the expulsion of foreigners from Egypt into Judea… The Exodus story thus appears to have originated in reaction to Manetho’s Aegyptiaca written in ca. 285 BCE. Chapter 9 argues that the figure of Moses as a magician and deliverer of the Jews was modeled on Necanebos II, the last pharaoh of Egypt, as portrayed in legends of the late fourth and early third century BCE. The first extrabiblical reference to Chronicles and Ezra-Nehemiah date to 180 BCE or later, suggesting that these texts may be considerably later than conventionally dated. 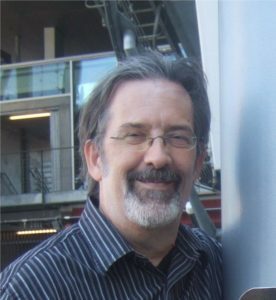 D. Redford showed that the Egyptological data of the Joseph and Exodus stories was consistent with the Saite, Persian and Ptolemaic periods…  No external evidence exists to establish an early date for either Kings or Ezra-Nehemiah. The first externally datable reference to material from Kings occurs in the book On the Kings of Judea by Demetrius the Chronographer (ca. 221–204 BCE)… Similarly, no external evidence exists that Ezra-Nehemiah was composed in the Persian period. The first external reference to Nehemiah occurs in the writings of Sirach (ca. 180 BCE); to Ezra even later. The Documentary Hypothesis made curious use of the reported events under Josiah and Ezra. The accounts in 2 Kgs 22–23 and Neh 6–8 were uncritically accepted as historically accurate: that a manuscript appeared under Josiah and resulted in extensive cultic reforms, and that another text was introduced under Ezra, was never questioned…  It thus appears that the Josiah reforms were of a literary, not historical character, and lack supporting evidence from archaeology. …And yet the priests of Elephantine appealed to [Jerusalem] for assistance in restoring their own temple at Elephantine. That the Elephantine Jews made such an appeal seems highly inconsistent with the existence of an authoritative Pentateuchal tradition banning all altars or local sacrifices outside of Jerusalem. The Elephantine papyri at best document an “Oral Torah” of priestly regulations emanating from the Jerusalem temple. One is not yet even justified in referring to a “Law of Moses,” for there is not yet evidence that Jewish priestly regulations had been attached to the figure of Moses at this early date. The rest of Gmirkin’s book amply fleshes out the arguments above and shows, in general, how the Pentateuch resonates with the time of the Ptolemies in Egypt rather than with prior centuries. Gmirkin’s argument is strongest when he shows the lack of attestation for the Pentateuch before mid-III CE (the earliest attestation being the Septuagint itself) and the parallels with Berossus, Manetho, and others. Did Herodotus influence the OT? The structural parallels Lemche attempted to show between Herodotus’s History and Genesis–Kings are forced and unconvincing. Further, one would expect that if the authors of the histories of the Hebrew Bible had been substantially influenced by Herodotus, quotations or ideas from Herodotus would be found somewhere in Jewish historiographical writings, but direct borrowing from Herodotus has never been detected. No real evidence exists that the Jewish authors of the Pentateuch or the Deuteronomist knew Herodotus. Unfortunately Gmirkin does not offer a reference for the foregoing, so it is not clear what passage in Lemche’s writing he is critiquing. (See Lemche, Prelude to Israel’s Past, 1998:14 for a more moderate view.) In any case, Gmirkin does not address a relevant (and also very expensive) book by J. Wesselius: The Origin of the History of Israel: Herodotus’ Histories as Blueprint for the First Books of the Bible, 2002). Wesselius’ work does not appear in Gmirkin’s bibliography. While putative influence of Herodotus on the OT is admittedly not Gmirkin’s focus, if true it would substantially broaden our view of the Septuagint scholars’ work. And both positions are compatible: the OT could have been influenced by Herodotus on the one hand and by Berossus/Manetho on the other. Gmirkin does indeed find influences from Plato on the OT—he has recently penned an entire monograph on this: Plato and the Creation of the Hebrew Bible (extensively reviewed by Neil Godfrey). I deal with Wesselius’ book in another review.—R.S. It’s not necessarily the case that the Documentary Hypothesis be rendered “dead in the water” by Gmirkin’s theory. The observation that Genesis is composed of several different texts, imperfectly redacted together can still be essentially true. ‘J’ and ‘E,’ or ‘Genesis I and Genesis II,’ could have been separate compositions by two different groups of scribes, and the separate components which make up our Book of Genesis were combined later. Some critical scholars place the Deuteronomic Reform with its attendant literature and redactive efforts later still, during the Hasmonean Era, i.e. Robert M. Price, 𝑀𝑜𝑠𝑒𝑠 𝑎𝑛𝑑 𝑀𝑖𝑛𝑖𝑚𝑎𝑙𝑖𝑠𝑚, and 𝐻𝑜𝑙𝑦 𝐹𝑎𝑏𝑙𝑒, 𝑉𝑜𝑙. 1 (Tellectual Press, 2015 and 2017 respectively). It would simply be the case that the components and processes which produced the Jewish testament were far later than anyone suspected prior to Gmirkin. I haven’t read what Price writes on this and respect his views. But then how does one explain the chronology? The Septuagint dates c. 250 BCE. The Hasmonean Dynasty began about a century later. How then could “the Deuteronomic Reform with its attendant literature and reactive efforts” have taken place in Hasmonean times if we have that literature already in the LXX? What am I missing here? How do we have any of that literature in the LXX? What’s the concrete manuscript evidence for the Septuagint (here defined as the complete Jewish Testament in Greek)? As far as I’m aware, the oldest fragments of Greek Jewish texts are tentatively dated to the 1st century BCE, and only for a couple of books; there’s no evidence for the existence of others until quite a bit later (i.e. the great uncials of the 4th century CE). It would seem that there’s as little evidence for a complete corpus of texts from the Tanakh in Greek, circa 250 BCE, as there is that Moses existed or wrote the Pentateuch in the 13th century BCE. These are hagiographical origins of the books. Interesting. My Nazareth research has taught me that the scholarly consensus is hardly enough to make a case. I wonder what Gmirkin or another LXX specialist would say about your position that it (i.e. the Pentateuch) was translated long after the traditional date. This would be significant if true. I encourage you to research it if no one else has. Anyway, our primary source for a mid-III BCE dating–the Letter of Aristeas–is admittedly full of nonsense.